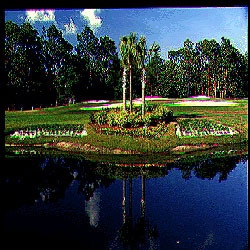 Since 1960 the semi-private Surf Club has offered members and guests the very finest in golf and Southern hospitality. This challenging golf course is a George Cobb design. Utilizing 200 acres of gently contoured, varied terrain to top advantage, this 18-hole tract was crafted to complement its beautiful setting. The greens were renovated in 1992, and were converted to Bentgrass in 1996. The practice facilities include a driving range and a large practice green. The Surf Club offers a wonderful experience in fine dining. The beautifully appointed banquet room can accommodate 500 guests for dinner or meeting.